Verragio engagement rings are truly special—every ring is both a symbol of love and a representation of beauty, a carefully crafted piece of jewelry that captivates and carries meaning. All Verragio engagement rings are designed to be unique by Barry Verragio, company founder and fine jewelry designer for more than 25 years. 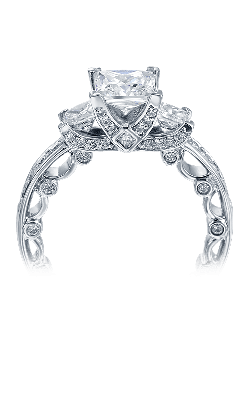 With a combination of skilled craftsmanship and remarkable details, a Verragio ring is unlike any other. Featuring an array of precious metals, gorgeous decoration and lacelike accents, and shining diamonds that sparkle from every angle, an engagement ring by Verragio is meaningful as well as striking. Make a statement of love with a Verragio engagement ring from Medawar Jewelers in Michigan, and capture your feelings in a beautiful way. 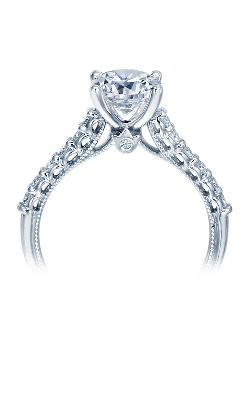 Verragio engagement rings blend together the classic traits of jewelry design with contemporary and current trends. Each ring sparkles and shines in its own way, and there are countless styles suited for each and every woman’s hand. For those who wish to keep their jewelry simple yet still elegant, the Verragio Classic collection adorns center diamonds with clean, simple details such as scrolls underneath the band and sparkling halos. 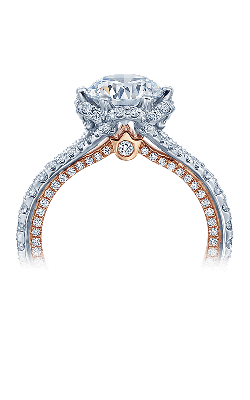 Those who love to stand out will be drawn to the magnificent rings of the Couture and Venetian collections—both of which feature engagement rings with rose gold accents, the glitter of diamond detailing, and incredible shapes and styling around the band. The Insignia and Paradiso collections are a perfect middle ground, accentuating a ring’s beauty with intricate and entirely unique settings, decorated bands, and one-of-a-kind style. Serving customers in Michigan cities from Lansing to Kalamazoo, Medawar Jewelers is home to a host of Verragio engagement rings in a number of lovely collections and designs. Every Verragio engagement ring is special, from its spectacular style to its captivating customizable details. From classically timeless and vintage in flair to modern and statement-making, Verragio offers it all. Whether you wish to craft your own Verragio ring, combining different aspects into a ring that gorgeously represents your bride-to-be or prefer to choose from the many popular and artistic rings of the designer’s famed collections, you’re sure to find the special piece at Medawar Jewelers. 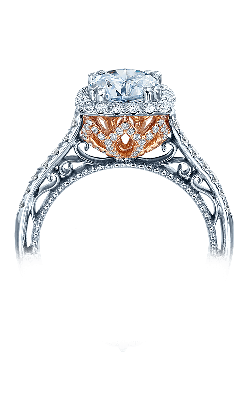 From Verragio engagement rings to a vast array of designer wedding rings to a selection of stunning fashion jewelry pieces, Medawar Jewelers is the Midwest’s leader in fine jewelry. Since its Lansing showroom opened in 1978, Medawar Jewelers has specialized in offering exquisite jewelry and timepieces along with exceptional service, selection, and quality. In addition to the expansive range of fine jewelry and timepieces available, Medawar Jewelers provides on-site services including jewelry and Swiss-made watch repair by master jewelers and custom design to create the piece of your dreams. Visit one of our five locations in West Lansing, Okemos, Jackson, Portage, and Brighton, and you’ll discover the long legacy of jewelry expertise that comes with the enjoyable Medawar Jewelers shopping experience.